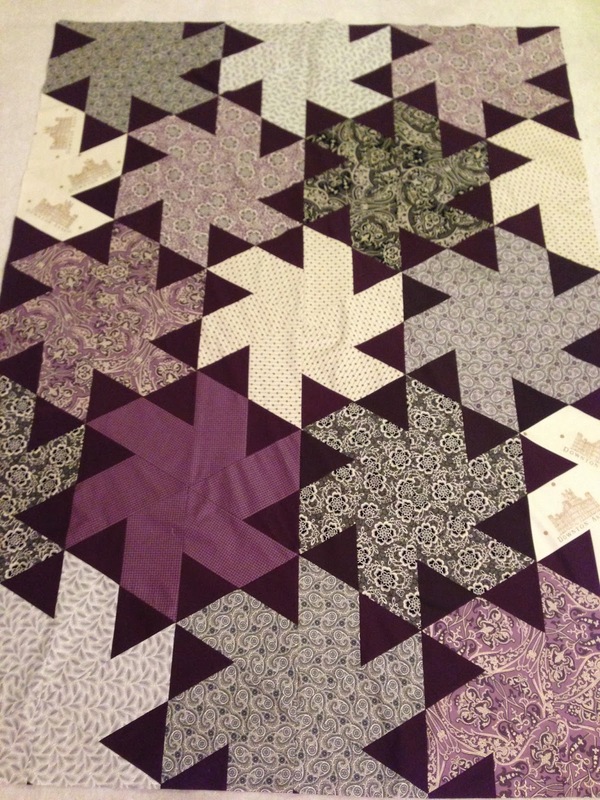 This is a relatively easily pieced quilt, but I love the way the colors are coming together. I used Kona cotton raisin for the solid in the background. More is on order, but until I get it, I'm at a standstill. Got it! All pieced and trimmed today. I'll need to piece the backing, which makes me happy since I use the scraps. Yea!! Stash Acquired: 27 from Hancocks; 8 of Honky Tonk, 19 of solids.